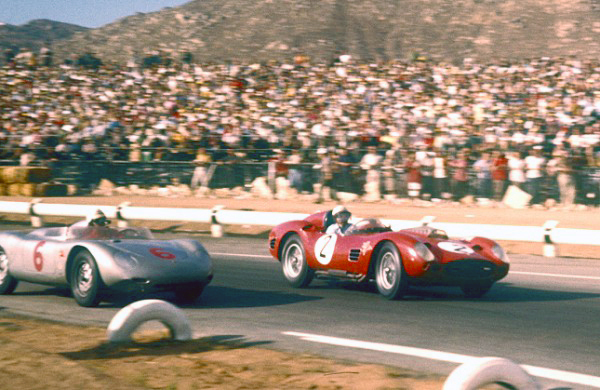 1950s southern California sports car racer and longtime racing aficionado Pete Vanlaw contributed these photos to the website. More are coming! Click on photos to see larger image. These photographs are the property of Pete Vanlaw and are protected under United States and international copyright laws. All rights are reserved and the images and/or text may not be digitized, reproduced, stored, manipulated, and/or incorporated into other works without the written permission of the photographer, Pete Vanlaw.